Discover the holistic and all-encompassing philosophies of the ancient East. Taoist philosophy teaches its adherents the paradoxical action of non-action. Ram Dass and Herman Hesse synthesized western scientific and philosophic views with traditional eastern religions to inform their teachings. All cultures in the world have sought to develop an understanding of themselves, their realities and seek deeper truths. While the scientific and reductionist worldview of European thought has labored to formulate and postulate on the world, a divergence of thought also flourished throughout the East with a more holistic view of existence. These ideals and differing thoughts have certainly pollinated and crossed one another throughout the years. Today, the old dichotomy and division of Eastern and Western thought has largely dissolved or converged. In the past century or so, these views of the world were more alienated from one another. In a more seemingly rapid paced world without sanctuary or peace of mind, it's time we return to these books on Eastern philosophy. Discover what has been lost and what can be found again. This influential and widely known Chinese text is attributed to the great sage Lao Tzu. Short and whimsical, the "Tao Te Ching" reads more like folky Aesop's fables than fundamental religious doctrine. It's a slim book and a quick read, but leaves behind new profundities on the nature of being and reality. Stephen Mitchell's poetic translation keeps the wisdom intact. 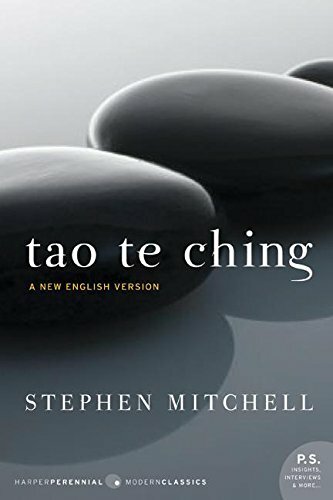 Considered the foundational text for Taoism, the "Tao Te Ching" leads its reader into a newfound, harmonious way of existing in the world. Taoism is the paradoxical concept of non-action or "doing not-doing". Mitchell writes in the introduction that: "The game plays the game; the poem writes the poem; we can't tell the dancer from the dance." "The Analects" are a collection of Confucius' sayings after the fact; they were written sometime after his death in 497 BCE. Confucius' goal was to create and uphold the ideal vision of what a man should be. He wanted to perfect one's moral character and develop the methods toward pursuing such a grand goal. Drawing from many different ancient Chinese texts and philosophies already in existence, the philosophy or religion of Confucianism has gone through many iterations. It shares a similarity with Christianity and the works of Socrates as both these philosophies and religions had the words of their leaders written after their deaths by their devotees. 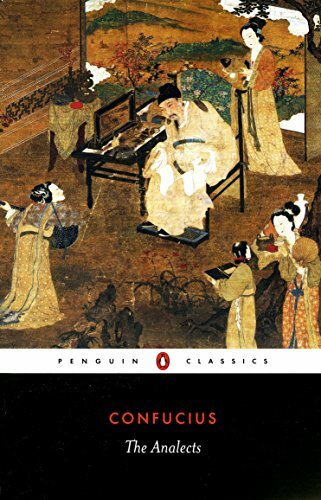 One of the great classics of world literature, "The Analects" have to be read firsthand to be truly understood. "Not to discuss with a man worthy of conversation is to waste the man. To discuss with a man not worthy of conversation is to waste words. The wise waste neither men nor words." – Confucius, "The Analects"
"The I Ching" has had an immense influence on the world. It's influenced Chinese thought for thousands of years and radically changed notions of mathematics and psychology in the West within the past few centuries. As the basis for binary code and a whole slew of other interesting phenomenon, "The I Ching" is one of the oldest efforts to try to reconcile the human mind into the greater cosmic scheme of things. 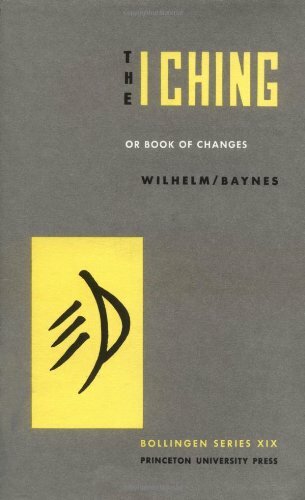 Richard Wilhelm's translation is the definitive book on "The I Ching", serving as both a reference, commentary and faithful rendition of the original text. The book can be used in a number of ways, and it stands as both the source for Confucianist and Taoist philosophy. Nowhere is there a more full picture of the rich spiritual realm and world of the Hindu faith. Considered to be a masterpiece of Sanskrit poetry, "The Bhagavad Gita" is one of our best sources for ancient Hinduism. It's part of a larger epic called "Mahabharata", but stands alone as a cornerstone of the religion. The story describes a battle between two great armies as the god Krishna comes down mid-battle to enlighten the warrior Arjuna. The epic is non-linear and a long running philosophical treatise on the notions of freedom, understanding, meaning of life and the nature of reality. Concepts of the cyclical nature of time and cosmic oneness of the universe are all expressed in this book. "The nonpermanent appearance of happiness and distress, and their disappearance in due course, are like the appearance and disappearance of winter and summer seasons. They arise from sense perception, and one must learn to tolerate them without being disturbed." 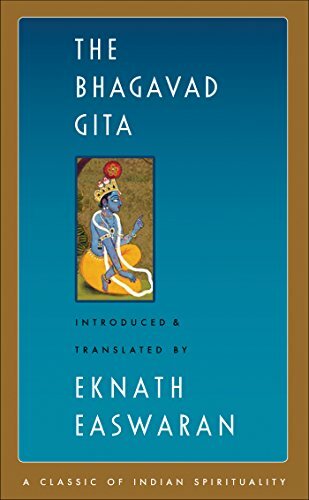 – "The Bhagavad Gita"
Herman Hesse's classic has resonated with countless generations and remains an inspiring novel. The story is written in simple verse and follows a wealthy Indian Brahmin as he leaves a life of privilege and religiosity to try to find true spiritual fulfillment. 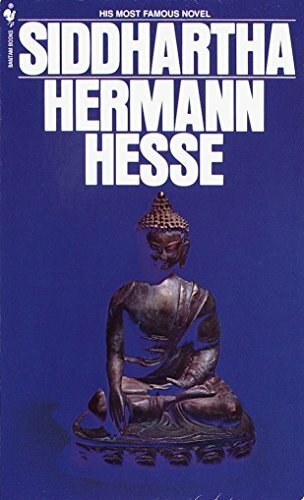 Hesse's treatment of the religious enlightenment is diverse as he weaves into classical Eastern thought, Jungian psychology and existentialism. Siddhartha leaves home with his friend Govinda and journeys through the many iterations of enlightenment seeking. He is not confined to any piety or guru worship as he joins the ascetics, follows the Buddha and even rejects him before going on to become a rich man and experience the pleasures of the world. Soon he understands that all experience is provisional and dependent on himself. Only the individual can find their own enlightenment. "Words do not express thoughts very well. they always become a little different immediately after they are expressed, a little distorted, a little foolish. And yet it also pleases me and seems right that what is of value and wisdom to one man seems nonsense to another." – Herman Hesse, "Siddhartha"
This is the recounting of a lifetime of experience and spiritual seeking from the man who would begin his journey as Dr. Richard Alpert and transcend into Baba Ram Dass. 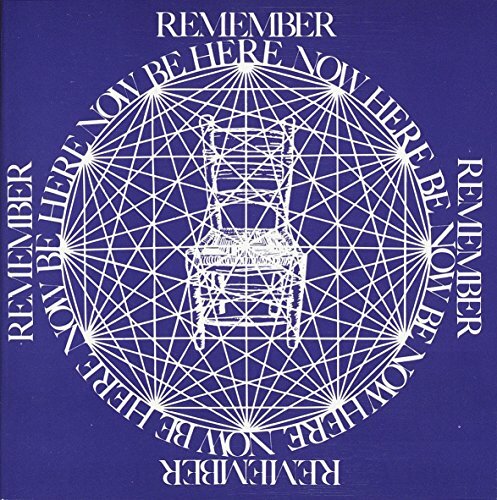 Both a biography, exploration of mysticism and period piece of the 1960s counterculture, "Be Here Now" is a riveting and unconventional book. It's a book to be experienced. There are many illustrations and wonderful poetic distillations of the many religions of the world. Ram Dass has a simple message and that is to live in the present moment. "Early in the journey you wonder how long the journey will take and whether you will make it in this lifetime. Later you will see that where you are going is HERE and you will arrive NOW... so you stop asking." – Baba Ram Dass, "Be Here Now"
"Since opposed principles, or ideologies, are irreconcilable, wars fought over principle will be wars of mutual annihilation. But wars fought for simple greed will be far less destructive, because the aggressor will be careful not to destroy what he is fighting to capture. Reasonable – that is, human – men will always be capable of compromise, but men who have dehumanized themselves by becoming the blind worshipers of an idea or an ideal are fanatics whose devotion to abstractions makes them the enemies of life." Alan Watts, "The Way of Zen"
Watts explains the concept of Zen as far as he can take it before that switch clicks and you're in on the cosmic laugh. Although Zen is one branch of Buddhism, it is more concerned with the ideals of spontaneous action and thought. 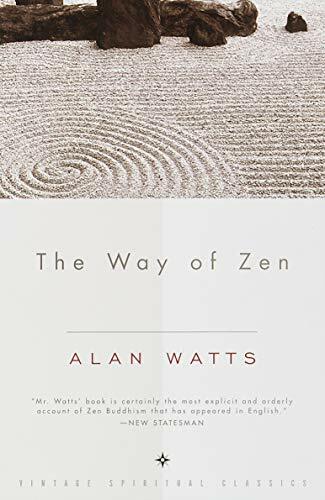 Emptiness, detachment from desire and even renouncing the idea of enlightenment are all tenets of Zen that Watts lays out in a playful and profound way.